From the Two for Joy Cafe (not coffee shop, mind you) in Amsterdam, I bid y'all (English for "y'aal") a very happy Tuesday! And what better way to celebrate this third-est of all days of the week than by pre-ordering your copy, be it on gargantuan* or compact disk, of our new album Who's Feeling Young Now? Now, this begs the question: who's feeling young now? Well, as it happens, Paul Kowert is. 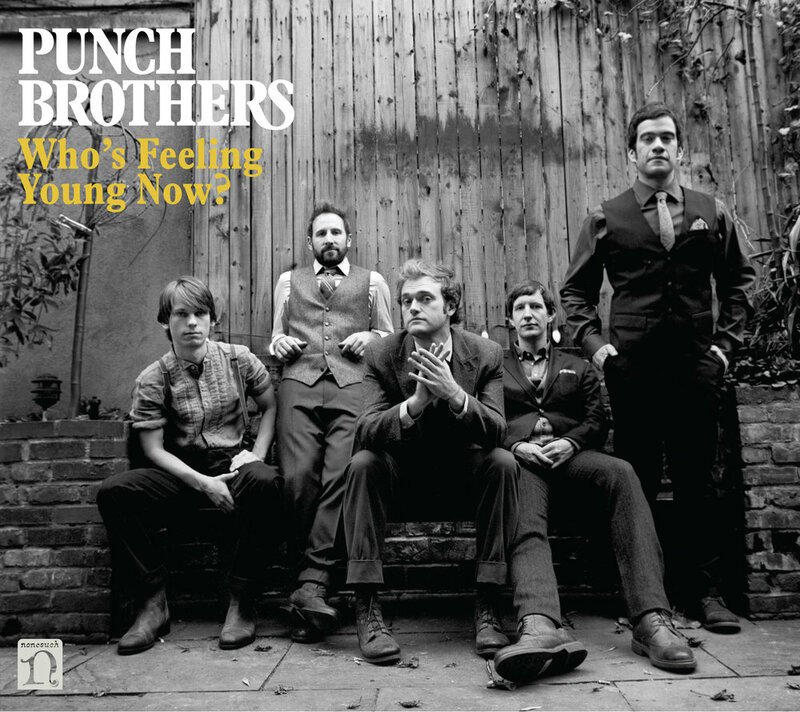 This also begs the question: what enticements have we, your Punch Brothers, commissioned to secure your pre-order? A set of five beautiful paper coasters, illustrated by New Yorker cartoonist extraordinaire Matt Diffee, depicting Noam Pikelny in various states of repose? No! Rather a set of five beautiful Diffee-illustrated coasters depicting all five Punch Brothers engaged in various youthful activities! Better still, the first 2500 sets WILL BE SIGNED!!! BY US!!!!!! AND TENNIS GREAT, MARTINA HINGIS!!!!!!!!! This just in: Ms. Hingis is probably too busy drinking hot cocoa and checking the string tension on her rackets to sign even one set of said coasters, I'm terribly sorry. To lessen this great disappointment, we're offering every pre-orderer a free download of "Movement and Location," which critics have described as being the most moving and locating song on Who's Feeling Young Now? Also, the technologically-savvy (Dutch for "savvy") pre-orderers among you will be able to download the entire record on Valentine's Day (better known internationally as Punch Brothers' New Record Comes Out Day). ** I'm off to De Kas for a traditional third-est day (Pickles calls it Tuesday) of the week lunch...hope to see you soon! Like maybe at one of our upcoming shows.